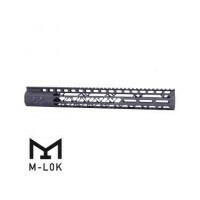 AR-10 .308 Aero Precision M5E1 Upper Receiver/Enhanced Handguard Set - BlackNEW Gen 2 Handguard Features:Added quick disconnect sling socket at the 3, 6 and 9 o’clock positionsMilled additional surfaces along flats to aid with gripping and add visual appealNew profile of the Picatinny Top RailInclud.. 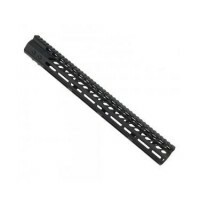 The Atlas 308 Keymod Free Float Rail features a slim profile for improved ergonomics and weight savings. 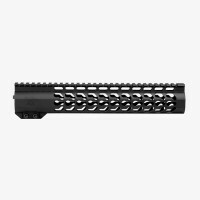 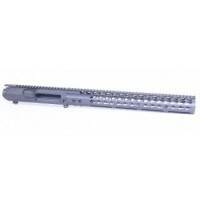 With a static top rail optimized for mounting optics and multiple contact points for a hex key mounted modular rail system on the sides and bottom, the Atlas Rail is the ideal solution for any AR.. 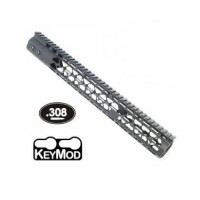 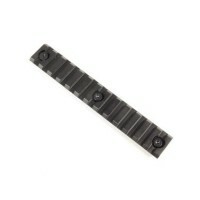 The Vapor X 308 Keymod Free Float Rail was designed to maximize ergonomics and comfort. 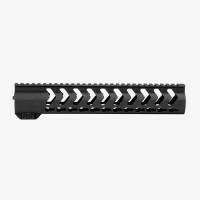 The asymmetric profile along the rail axis offers the best possible heat dissipation while still maximizing weight savings. 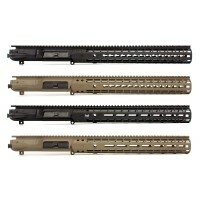 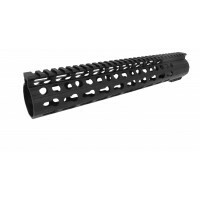 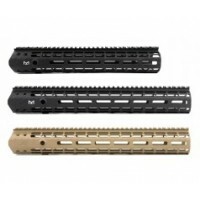 Unlike many other ultralight rail systems on the market, the oversize cutouts and KeyMod..
Samson Evolution Series For DPMS (.308) The Samson Evolution Series is the next step forward in free floating handguards. 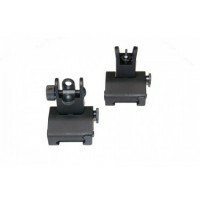 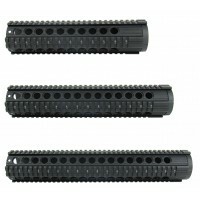 Lightweight and durable these offer the perfect upgrade for 3 gun shooters LE/Military or weekend enthusiasts alike. 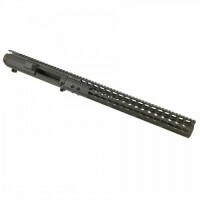 Accessory Picatinny rails can be added or removed at any..
AR .308 15" AIR LITE FREE FLOAT KEYMOD WITH MONOLITHIC TOP RAIL - CHOOSE YOUR ANODIZED COLOR!15" LengthT6 Aluminum BodyAir Lite SeriesDPMS Low Profile SpecProprietary Steel Barrel Nut IncludedTotal Weight Including Barrel Nut Is Just Over 12 oz!! 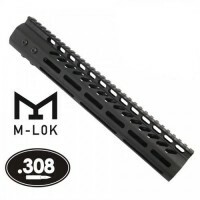 !5 KeyMod Slots On 3 Sides of Front End Of H..
AR .308 15" AIR LITE M-LOK FREE FLOATING HANDGUARD - VARIOUS COLORS - CHOOSE YOUR ANODIZED COLOR!15" LengthT6 Aluminum BodyAir Lite SeriesProprietary Steel Barrel Nut IncludedTotal Weight Including Barrel Nut Is Just Over 12 oz3 M-LOK Slots On 3 Sides of Front End Of Handguard&nb..
AR .308 15" ULTRA LIGHTWEIGHT THIN KEY MOD FREE FLOATING HANDGUARD WITH MONOLITHIC TOP RAIL - CHOOSE YOUR ANODIZED COLOR!15" Length.308 CaliberDPMS Low Profile SpecT6 Aluminum BodyUltra LightweightProprietary Steel Barrel Nut IncludedTotal Weight Including Barrel Nut Is 14.8 ozKeyMod Syste..
AR .308 15" ULTRA LIGHTWEIGHT THIN M-LOK FREE FLOATING HANDGUARD - VARIOUS COLORS15" Length.308 CaliberDPMS Low Profile SpecT6 Aluminum BodyUltra LightweightProprietary Steel Barrel Nut IncludedTotal Weight Including Barrel Nut Is 14 ozM-LOK SystemRail System Slides Over Barrel Nut , And I..
AR .308 16.5" ULTRA LIGHTWEIGHT THIN KEY MOD FREE FLOATING HANDGUARD WITH MONOLITHIC TOP RAIL - CHOOSE YOUR ANODIZED COLOR!16.5" Length.308 CaliberDPMS Low Profile SpecT6 Aluminum BodyUltra LightweightProprietary Steel Barrel Nut IncludedTotal Weight Including Barrel Nut Is 15 ozKeyMod Sys..
5-Position Ambidextrous Foldable Foregrip offers you the optimal grasp on your firearm. 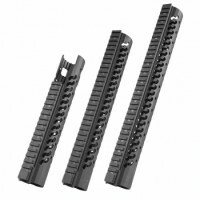 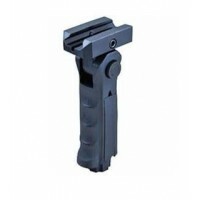 A successful vertical gun grip will help you to maintain a perfect grasp on your gun when you need it most.– Mounts onto Weaver and Picatinny type rails– Ergonomic design for comfortable and secure grip– ..
5" REMOVABLE KEYMOD ACCESSORY RAILT6 AluminumAnodized Finish5 Inch LengthKeymod DesignComes 2 to a pack ..
AR-10 .308 " STRIPPED BILLET UPPER RECEIVER & 15" ULTRALIGHT SERIES KEYMOD HANDGUARD COMBO SET IN FDE​RECEIVER:.308 CalT6 6061 Billet 1913 Picatinny Rail Flat Top-DPMS Low Spec Rail HeightManufactured From Solid Block Of Billet AluminumMIL-A-8625 TYPE III AnodizedWill Match Up With DPM..
AR-10 .308 12" FREE FLOAT QUADRAIL HANDGUARD WITH BARREL NUT12" Length.308 CaliberDPMS Low Profile SpecT6 6061 Aircraft AluminumBead Blast with Type III AnodizingPrecise CNC machiningMil Spec 1913 PicatinnyThree Slot Port1 Piece Free Float RailAlum Barrel Nut ..
T6 Aluminum308 CalSlim ProfileMonolithic Top Rail Is Continuos With Flat-top Receiver, DPMS low profile designAnodized FinishHeavy DutyDPMS style low profileBlack ..
T6 Aluminum308 CalUltra Lightweight - 12.9oz with barrel nutSlim ProfileMonolithic Top Rail Is Continuos With Flat-top Receiver, DPMS low profile designAnodized FinishHeavy DutyInternal Diameter: 1.48"DPMS style low profileAvailable in various colors ..
AR-10 .308 12" ULTRA LIGHTWEIGHT THIN M-LOK FREE FLOATING HANDGUARD WITH MONOLITHIC TOP RAILT6 Aluminum308 CalUltra Lightweight - 12.9oz with barrel nutSlim ProfileMonolithic Top Rail Is Continuos With Flat-top Receiver, DPMS low profile designAnodized FinishHeavy DutyInternal Diameter: 1.48"DPMS st..
AR-10 .308 15" FREE FLOAT QUADRAIL HANDGUARD WITH BARREL NUT15" Length.308 CaliberDPMS Low Profile SpecT6 6061 Aircraft AluminumBead Blast with Type III AnodizingPrecise CNC machiningMil Spec 1913 PicatinnyThree Slot Port1 Piece Free Float Rail ..
AR-10 .308 16.5" ULTRA LIGHTWEIGHT THIN M-LOK FREE FLOATING HANDGUARD16.5" Length.308 CaliberDPMS Low Profile SpecBlack FinishT6 Aluminum BodyUltra LightweightSteel Barrel Nut IncludedM-LOK SystemRail System Slides Over Barrel Nut , and is Locked Up Against Receiver With 6 ScrewsTight Fit ..
AR-10 .308 Aero Precision Enhanced Handguard. 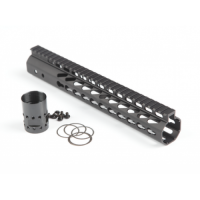 Aero Precision Enhanced Handguards provide a lightweight free float design for your custom .308 build. 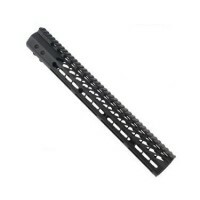 The system allows advanced modularity past the current 1913 picatinny rail system. 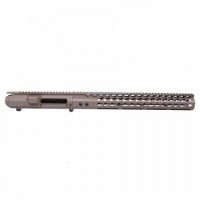 Machined to mil-spec dimensions and engineered to perfection, t..
DPMS STYLE 308 COMBO SET IN SNIPER GREY INCLUDES:RECEIVER: US Made .308 Cal T6 6061 Billet 1913 Picatinny Rail Flat Top-DPMS Low Spec Rail Height Manufactured From Solid Block Of Billet Aluminum M4 Feed Ramp Cerakoted In Sniper Grey Finish Will Match Up With An..
​308 UPPER RECEIVER: · US Made In Scottsdale, Arizona · .308 Cal · T6 6061 Billet · ..